Apply to diaper rash. Sprinkle on little bottoms to help prevent diaper rash, or mix as a paste with water to apply to existing rash. Apply to sunburn. Create a paste using water to apply to sunburn areas. Can also mix with aloe vera for another soothing paste. Use to absorb oil spills on fabric or clothing. Sprinkle and rub into oil spots on leather, fabrics and even clothing. Use as dry shampoo. Comb through hair on mornings you are too rushed to shampoo. Works best on lighter colored hair, but can easily be used for any hair type or texture. This helps absorb oil at the root. Alternative Underarm Deodorant. Apply alcohol to underarms then lightly brush with corn starch to eliminate and help prevent odor. Polish Silver or jewelry. Make a paste of corn starch and water and rub into silver or any jewelry to remove dirt and grime. Dip a toothbrush into it to scrub jewelry like rings, pendants or bracelets that have intricate parts. Hair detangler. Apply a small amount to damp hair for easier combing. The corn starch lubricates the hair shaft and makes it easier to glide the brush or comb through. Corn starch can be found in every room of your house from the kitchen to your bathroom or cleaning supplies. 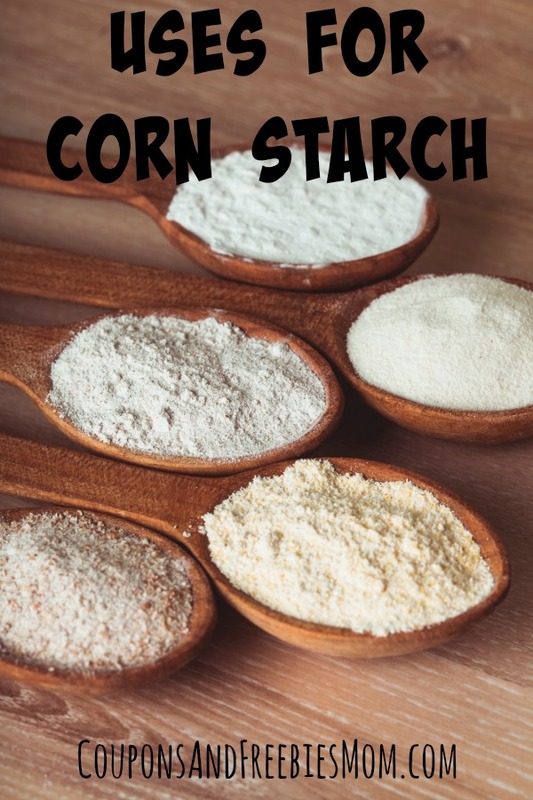 These are just a few of the many uses for corn starch you can enjoy using in your own home. I never knew there were so many uses for corn starch! Thank you for sharing! I’m going to utilize some of these. Thanks for the tips. Baking soda and vinegar have lots of alternative uses, also. It’s amazing what we can do with common household items. I already use it a deodorant. Good to know the other uses. Corn starch has so many uses. Thanks 4 sharing this. Thank you so much for sharing! I never knew that cornstarch had so many uses! I have used corn starch on my sunburn but never thought about using it as a dry shampoo or even on hair detangler. Wow, thanks for all this information. I can use all of these tips. I have to get to cleaning my silver now.